Specialization:General orthopedics, spine/postural dysfunction, and sports rehabilitation with a special interest in strength and conditioning in the prevention of injury and safe return to activity. Susannah is a Charlottesville native and has loved growing up in the area. She played soccer for Monticello High School and then went on to play Division I soccer at Elon University. She received her Bachelor of Science degree from Elon University and majored in physical education. After college, she moved to Camp Lejeune in NC with her husband while he served as a United States Marine. While living in NC, she was a personal trainer and trained individuals of all ages including active duty military. 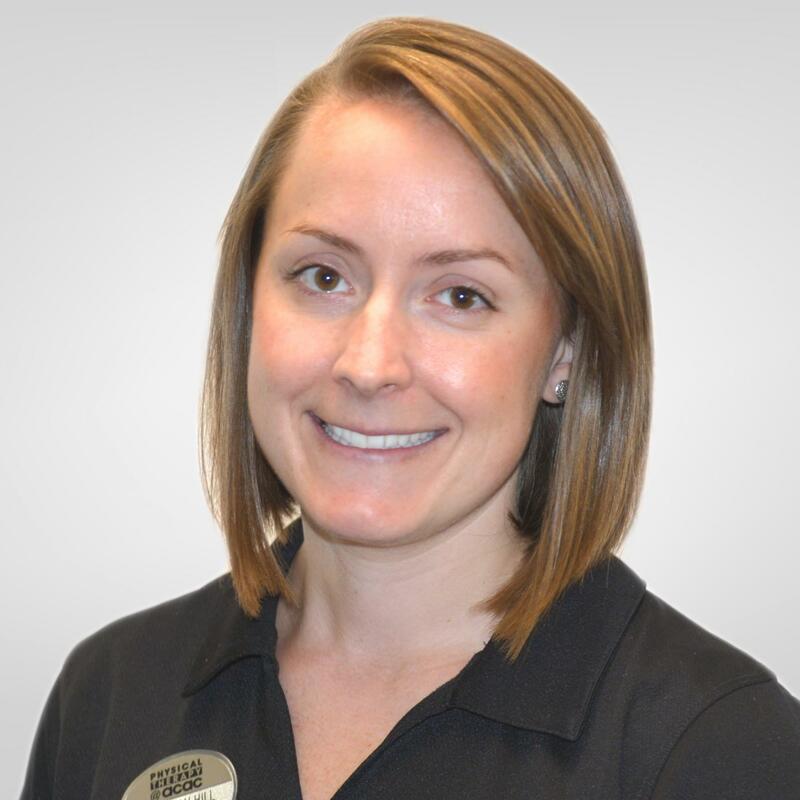 As a personal trainer, she realized that she was passionate about injury prevention, corrective exercise, and sport performance and decided to pursue a career in physical therapy. She graduated with her Doctor of Physical Therapy degree from Mary Baldwin University and participated in clinical rotations in outpatient orthopedics, acute care, inpatient rehab, and skilled nursing. She enjoys running, weight lifting, hiking w/ her dog, and spending time with friends and family.